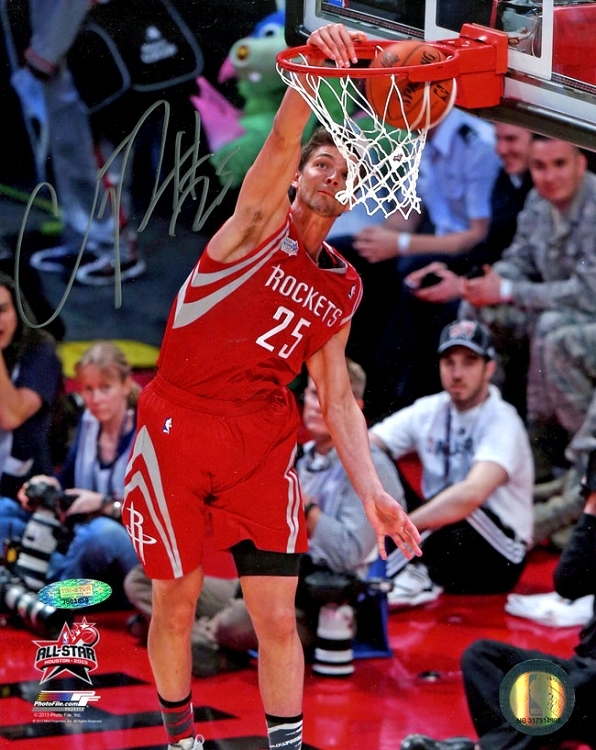 Chandler Parsons personally hand signed these Houston Rockets 8x10 photos. Each autographed photo includes an individually numbered TRISTAR Authentic hologram, which can be verified at www.tristarauthentic.com. After being named the SEC Player of the Year while playing for the University of Florida, Chandler Parsons was drafted by the Houston Rockets in the 2011 NBA draft. In 2014, Parsons set an NBA record scoring 10 three-pointers in one half.